Tricia's Take: OOTD- Orange and dotty! 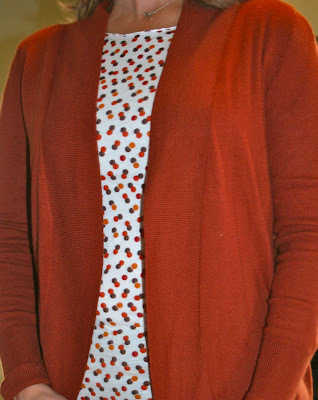 Cute cardi! And you need to show us pics of your new hair! The sequin cami looks cute - and so many colour choices! We want to see a pic of the hair photoshoot. I am sure you will look great!